It’s the heart of the summer and that means hefty electricity bills as your air conditioner works hard to keep your home cool and comfortable. And while air conditioning is an absolute necessity in Southern California in July, there are several things you can do around the house that will help to improve the efficiency of your cooling system and reduce those costs. 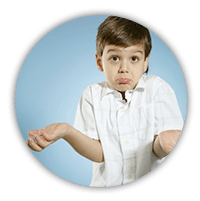 While whole house insulation has less of an impact on cooling costs than it does on heating costs, your attic is another story. Attic temperatures in the heart of the summer can reach 150 degrees or higher without proper venting, and that heat can seep into your home and force your air conditioner to work even harder. The typical attic has an existing 4-inch batt of insulation in the attic floor, which provides an R-value of R-13. 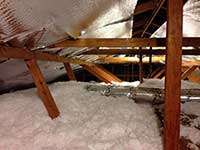 Southern California is in Climate Zone 3 and it is recommended that your attic have an insulation value of R30-R60 to ensure optimal performance in all weather conditions. Blown insulation to reach these recommendations can cost less than $1,000 and greatly improve performance for your home. In addition to attic insulation, which is important for both summer and winter weather, an attic fan that vents warm air can help to equalize attic temperatures to match outside, ensuring it never gets above the high temperature. Your home absorbs surprisingly little heat, especially with any amount of insulation, so the most important thing you can do to reduce the workload of your air conditioner is to reduce the amount of sunlight exposure in your home. Cover or eliminate south facing windows, install shades and awnings to block direct sunlight – something you can do only for the hottest summer months – and plant trees that provide ample shade. 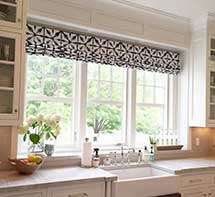 These simple tasks can greatly reduce sun exposure, increasing air conditioner efficiency throughout the hotter months of the year. While upgrades and sunlight management in your home can greatly reduce the external load put on your air conditioner, it won’t do much if your air conditioner is overdue for maintenance or ready for a replacement. Modern air conditioners offer efficiency ratings as much as 2-3x systems that are 10 or more years old. That means a substantial upgrade that can pay for itself in just a few years. At the same, improperly cleaned and maintained air conditioners in need of air filter replacement, line cleaning or replacement, or general maintenance can see efficiency drops of 30% or more. A simple annual tune-up for your full HVAC system will ensure it is in top condition when the hottest months arrive. And if your system is ready for a complete replacement, you can give us a call and ask to speak with one of our cooling specialists about the options currently available.